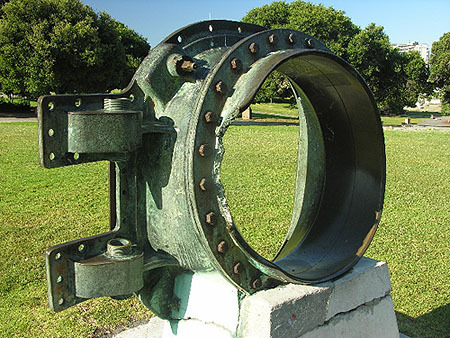 Capstan of the MAINE, located at the Battery in Charleston, South Carlolina (courtesy of Kenneth H. Robison, II). 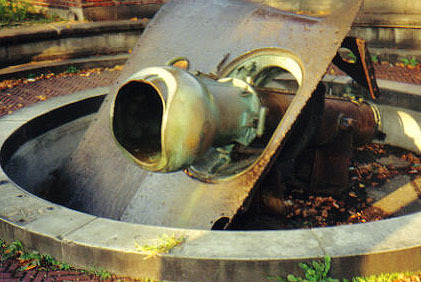 This 6 inch gun from the MAINE is at the Washington Navy Yard Museum in Washington DC (contributed by Robert Conner). 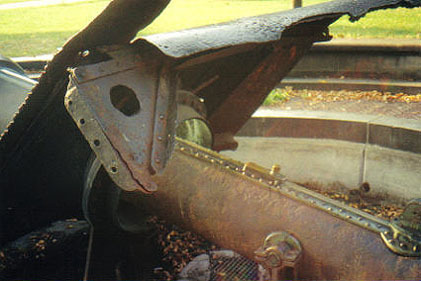 This spare propeller balde from the MAINE is at the Washington Navy Yard Museum in Washington DC (contributed by Robert Conner). 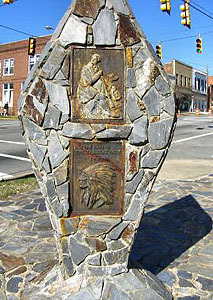 The monument at left, located in Hillsborough, North Carolina in front of the Orange County Courthouse, is a monument commemorating the start of the start of the 1778 expedition led by Daniel Boone's into Kentucky. 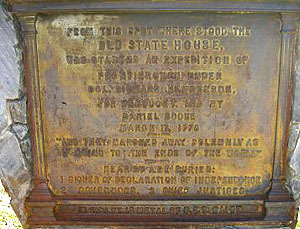 Though at first seemingly unrelated to the MAINE, a plaque on the monument (right) indicates at the bottom that the plaques were cast from metal from the MAINE The monument stands on the corners of East King Street and Court Street (contributed by Robert Conner). 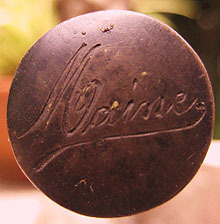 This item is from a private collection. This item was apparently made from pieces salvaged from the MAINE and was given to one of the men working on the salvage operation.